The development and maintenance of monoliths presents organizations with increasing challenges, resulting in high costs and a slow time-to-market. More and more organizations are therefore attempting to componentize their applications. The latest and greatest paradigm microservices finally seems to deliver on the promises of service oriented architecture: shortening time-to-market, scalability, autonomy, and exchangeability of technology and databases. The challenges of delivering microservices however are equally big. What makes a component a microservice? How to design, develop and deploy these small services? How does collaboration between analysts, developers, testers and operations change the organizations? 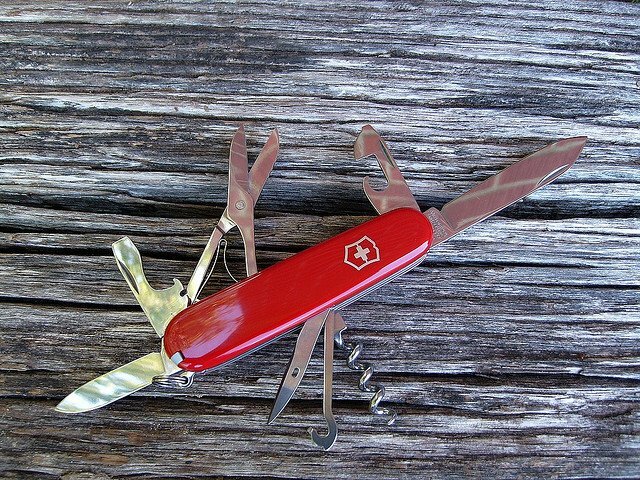 Are microservices software developments Swiss army knife? During this one day course, from his years of experience in agile, Scrum, requirements, architecture and code Sander Hoogendoorn shares the voyage that implementing a microservices landscape is. He will answer questions on modeling and designing microservices, the granularity of applications and services, the communication between services, design patterns, polyglot persistence, testing services and setting up deployment pipelines. Richly illustrated with real-life examples, this course gives a perfect introduction into this promising technology. Are we beyond the hype yet? How big or small are microservices? How to split up your existing code base? Do microservices change your organization? Do microservices solve all challenges your IT department has? Ik ben een PHP developer met een aantal jaar werk ervaring en sinds kort ben ik meer en meer de software architect / consultant kant aan het op groeien. Hierbij adviseren ik klanten in voortrajecten en adviseer ik intern hoe we bepaalde processen zouden kunnen opzetten. Ik merk echter dat het erg lastig is om veel kennis te vergaren zonder trainingen en/of hulp / voorbeelden van anderen. Ik werk momenteel bij E-sites (een webbureau met 10 backend developers). Op je website zag ik een aantal interessante trainingen die ik graag zou willen bijwonen. De training “Designing, developing and deploying a microservices architecture” lijkt mij erg interessant als developer zijnde en “Pragmatic modeling with UML and smart use cases” lijkt me dan weer perfect aan te sluiten bij mijn relatief nieuwe rol als software architect. Wat zijn de mogelijkheden hierin? En zijn er verder nog speciale conferenties die interessant zijn om bij te wonen? DPC is bijvoorbeeld een conferentie gericht op PHP webdevelopment maar na een paar jaar blijft dat toch helaas het zelfde liedje over en over. Het lijkt me erg leuk om een training bij te wonen. I’m interesting in this courses. but need schedule and price and location. If you fill out the contact form, it is easier to get in touch if you are interested in these training courses.